Is your son or daughter getting married or moving into their first home? If you want to help them out make your gift a practical one. Find out which home appliances you should stock up on. What could be a better present than a toaster or a kettle? Okay it might not have the same impact as giving a designer bag or a much-coveted watch but it is a present that will be used everyday! You can buy toaster and kettle sets for about £30 from major retailers or you can blow the budget and get them designer versions. Specialist kitchen shops sell the top of the range toasters and kettles with three figure price tags but the iconic design and pretty colour selection goes some way to making it money well spent! It may not sound like the most exciting present in the world but trust us, saucepans are a great gift. Buying a full set for the receiver can make a world of difference to their kitchen. As with other appliances, buy the best for your budget. Head for the stainless steel variety, a pick up a few that come with non-stick coatings. Stainless steel tends not to corrode, they will last the longest and they are the most versatile. Before you head to the checkout, handle them yourself. Check to see that the lids fit well and that they have sturdy grips – you want them to be as safe as possible. Once you have done this simple test, you can buy with confidence. Don’t forget those kitchen basics. There are certain things that every cook needs to have at their disposal. Cutlery is key and nice, quality cutlery makes a very special gift. Cutlery can be unbelievably expensive with the very best stores offering top priced ranges. Head to a mid-range high street furniture store and you will find a contemporary design that will also suit a reasonable budget of up to £50. A blender or a fancy food processor is also a key tool that can help transform the kitchen! Blenders are surprisingly affordable gifts that can be used to make nutritious soups, smoothies or delicious iced frappes. Pick up one for just £10! Alternatively, raise the budget stakes to about £30 and get a food processor. They can chop, mince, grate and grind in a fraction of the time it would take to do it manually and they are exceptionally useful for even the most inexperienced chefs! To keep any home in top condition, there are a few essential cleaning tools that you just can’t do without. A vacuum cleaner is definitely one of them! This is often one of those items that first time homemakers haven’t yet got round to buying and they are not cheap! Picking one up before they have to splash out is a tremendous help for them and a great, practical gift that should hopefully last for years. What should you look for? Well apart from glancing at the price tag; make sure that it comes with plenty of attachments. Hard to reach corners and skirting boards should all be catered for and the cleaner should be able to tackle a variety of surfaces from deep carpets to vinyl flooring. If you have those bases covered, you cannot go wrong! If you really want to indulge them a dramatic gesture is in order. Its time to buy an appliance to remember! Modern fridge-freezers, range ovens and washing machines are luxury gifts that your nearest and dearest may well deserve but items that they may struggle to afford. Before you hit the shops, a word of caution. Make sure that you shop only at reputable retailers. 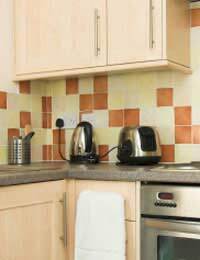 These appliances must be safe and accompanied with a watertight manufacturers guarantee. If anything goes wrong you need someone to come and fix the problem without costing a small fortune. Don’t forget to measure up. The item must actually fit the designated space in the receiver’s home! Appliances are practical and useful gifts. All you have to do is think about what the receiver needs for their home. Is there a branded appliance they have been after for a long time? Do they desperately need a new toaster or a new kettle? Ask these questions, get the answers and buy a present that will be appreciated.